UKRFCU serves the financial needs of its members in the Philadelphia area and across the country. In order to help all members enjoy the convenience of branches, UKRFCU has joined Shared Branching – making nearly 5,000 branches across the country available for members to use! As a member, you are not limited to only our six physical locations. Enjoy the benefits of Shared Branching by having access over 5,000 branch locations and over 30,000 surcharge-free ATMs. Якщо ви хочете переглянути це відео українською мовою, натисніть тут. Find a Shared Branch near you to access your UKRFCU account. Locate a surcharge-free ATM near you to access funds from your UKRFCU Debit Card. 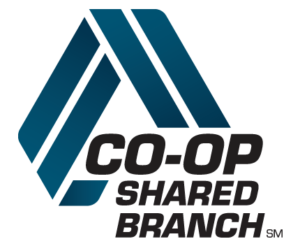 Shared Branching is a national network of credit unions that allow members to perform their financial transactions at thousands of convenient locations as they would at their local credit union. Members can make deposits, withdrawals, transfers, and make loan payments at ANY Shared Branching location. If you want to learn more about Shared Branching or want to locate a branch or ATM, please click here. Enjoy over 30,000 surcharge-free ATMs from the CO-OP network that covers all 50 states and selected locations at places you like to shop including 7-Eleven, Dunkin Donuts and Rite-Aid. Enjoy over 55,000 surcharge-free ATMs from the Allpoint network that is located worldwide and provides you the freedom to get your cash wherever you are, when you want. Enjoy over 2 million ATMs located at participating financial institutions and retail locations including convenience stores and other frequently visited locations. Shared Branching is a network of credit unions across the country that allows you to conduct transactions at their branches just as if you were in a UKRFCU branch. The network is made up of nearly 5,000 branches nationwide. How Does Shared Branching Work? Using Shared Branching is as simple as performing a transaction at any UKRFCU branch. Note: You will be entering a different credit union to perform your transaction. For example, you may enter an American Heritage FCU branch to perform your Ukrainian Selfreliance FCU transaction* (see “What Type of Transactions Can I Perform” below). It’s important for you to identify yourself as a member of the Ukrainian Selfreliance FCU PA in order to avoid confusion with Ukrainian Selfreliance MI FCU (Michigan), another member of the Shared Branching Network. How Much Does Shared Branching Cost? Shared Branching is completely FREE to members of Ukrainian Selfreliance FCU. Additional charges may apply for extra services, such as money orders or statement copies, similar to if you were at a UKRFCU branch. What Type of Transactions Can I Perform? You cannot apply for a loan, open a new account or add on additional Ukrainian Selfreliance FCU specific services. You must contact UKRFCU for these additional services by calling 215.725.4430 or log on to www.ukrfcu.com stop by any one of our branches. All members of Ukrainian Selfreliance Federal Credit Union are automatically enrolled in Shared Branching. There are no forms to sign. Simply locate a Shared Branch near you and conduct transactions as normal.